In 1994, a 13-year-old boy named Nicholas Barclay left his San Antonio home to go play basketball. He never returned, eventually assumed to be dead. In 1997, his family received a phone call from someone in Linares, Spain stating that Nicholas was there, shaken up but alive. How did Nicholas get overseas? We know the answer to this question right away — this isn’t Nicholas at all. This is a 23-year-old Frenchman named Frédéric Bourdin, an imposter posing as the long-lost teenager. In an effort to appear believable, Bourdin goes to great lengths to cover-up his appearance. He wears a hoodie, ball cap and shades as often as possible, and his timid demeanor goes in line with someone who underwent a traumatic experience. He dyes his hair blond and acquires crude renditions of the same three tattoos Nicholas had. Somehow, remarkably so, the Barclays take in Bourdin, fully believing (or at least wanting to believe) that this is actually their missing family member. If that sounds too crazy to be true, well, it gets even more ridiculous. I won’t get into explicit details because it truly helps to go into this movie without knowing much, but the film takes a total 180 about halfway through. All of a sudden, all of my preconceived notions about the people we were introduced to were thrown out the window. My emotions were turned inside and out, and I was left wondering just who to believe. In order to figure out just what the hell happened in this bizarre true story, we hear from a variety of talking heads. Bourdin himself tells his side of the story, very bluntly stating that he wanted “love and affection” in his life, even if that meant stealing another person’s identity. 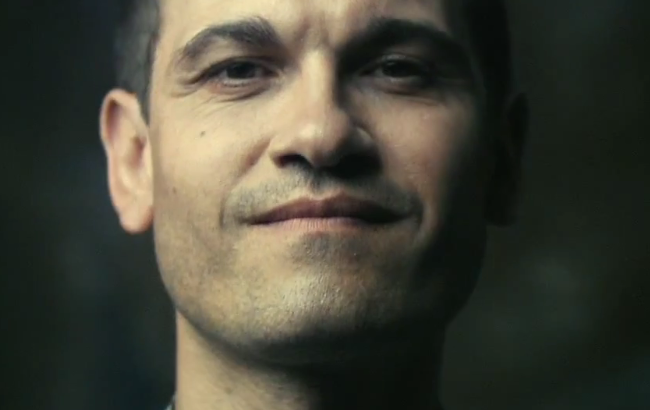 He is an enigmatic character, one who has a strange type of charisma even as we learn of his despicable deed. We also hear from many members of the Barclay family, as they stumble over their words to try to explain how they let this stranger into their home. Surely they must have noticed that Nicholas’ eyes suddenly changed from baby blue to brown? Interspersed with interview clips are home video shots (including Bourdin’s U.S. arrival into open arms) as well as re-enacted moments using actors. The transition between all three formats is flawless, particularly when dialogue remains perfectly in sync while switching amongst them. This is an expertly crafted documentary from seasoned TV veteran, Bart Layton. 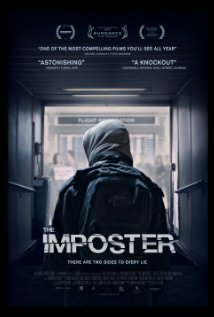 The Imposter asks a lot of questions, and it is almost certainly the most ‘thrilling’ documentary I have ever seen. It’s damn near impossible to write a story like this, and it’s mind-boggling that this could have ever happened. As a case of “stranger than fiction”, this is simply unforgettable. Folks, this is easily one of the best films of the year and it is an absolute must-see. Yeah, it had a pretty limited release here, too, unfortunately. Definitely keep an eye out for the DVD, man! It’s a trip! Heard lots of good things about this, but unfortunately it’s not available here yet. Hope to be able to watch it soon! I know how much you enjoy documentaries, Nostra, so this will be right up your alley. Looking forward to your review when you’re able to see it! I’m still waiting to see this movie. I have a lot of good things about it and you’re review also backs everyone else’s opinion. Yeah, this one really lives up to the hype. One of my favorites from this year, easily. The trailer was quite chilling, glad to hear it’s a good film. I’ll give this a rent one of these days. I haven’t had my emotions toyed with like this in quite some time. Definitely worth a rental! Oh yeah, Catfish! I really liked that one, too. The Imposter is a whole different ballgame, though. Hope you’re able to check it out! Reblogged this on Dirk's Blog of Life. Really does sound awesome. Hope I get to see this soon! It’s probably in my top five so far this year. Really, really enjoyed this one. Thanks for the write-up, Eric. 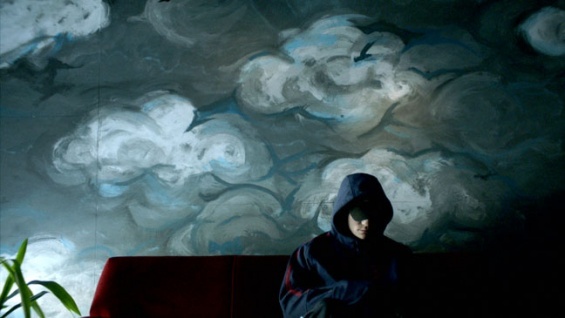 One of the best films of the year you say…I heard Alex at And So It Begins praise The Imposter too, so hopefully I’ll have a chance to see it soon. You got it, man. This film came out of nowhere and blew me away. Definitely check it out when you get a chance! Dreams of a Life, eh? Gonna have to look that one up!